Developed in the early 1970's, the 5.45x39mm cartridge was the Soviet answer to have a competing intermediate cartridge to 5.56. The 5.45 cartridge is most commonly chambered in the AK74 variant of rifles, and is not to be confused with the ammo of its brother the AK47. 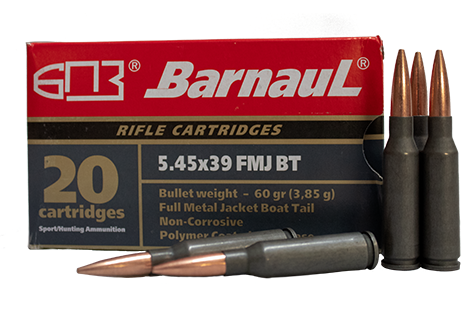 5.45 is a lightweight, high-velocity round perfect for target shooters and small game hunter.